Welcome and thank you for returning to Saturday Steals. Every week I search for book bargains for readers. This week has many offerings. I’d love to hear your thoughts on any of the books listed. I think this book sounds fascinating! Guardian Cats and the Lost Books of Alexandria by Rahma Krambo. $4.99 from Smashwords.com STEAL. Phantasy by Marlow SR. FREE on Kindle. How about a paranormal dark comedy? He has started created a world of his own, a world in which only HE can rule with full authority. But will he be able to finish what he’s started? More importantly, will he be able to taste success in his new venture? EARLY FREE ALERT! On 10/31 – Halloween, Blood Stained Lives by Ronald Edward Griffin will be free. Mark your calendar for the haunting! Namon is a young man with a destiny that has haunted him since his birth. His parents were murdered to protect his existence a secret from those that would cause him harm. His godmother Katrina raises him to the best of her ability. Months before his 18th birthday though events occur that force her to reveal his destiny. Adult-content rating: This book contains content considered unsuitable for young readers 17 and under, and which may be offensive to some readers of all ages. How about a FREE Short Story Curse of Death to introduce you to a new YA Paranormal series? Try out the short then buy the book Touch of Death by Kelly Hashway. In Touch of Death Jodi Marshall isn’t sure how she went from normal teenager to walking disaster. One minute she’s in her junior year of high school, spending time with her amazing boyfriend and her best friend. The next she’s being stalked by some guy no one seems to know. After the stranger, Alex, reveals himself, Jodi learns he’s not a normal teenager and neither is she. Jodi discovers she’s the chosen one who has to save the rest of her kind from perishing at the hands of Hades. If she can’t figure out how to control her power, history will repeat itself, and her race will become extinct. 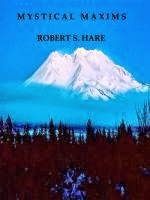 Mystical Maxims by Robert S. Hare. STEAL. MYSTICAL MAXIMS is magical! The 500+ axioms penetrate one’s spirit, releasing pent-up heroic instincts. Enjoy timeless philosophical Truth and invaluable noble aphorisms. HALF-PRICE SALE! Use coupon EP68Y . Interested in a new series? Here is a STEAL at $0.99 for Book 1 Cruel Justice by M. A. Comley. If you like then try Book 2 Impeding Justice. Before they can discover the identity of the killer they must make a connection between the two victims. After a third murder, Lorne receives a grisly surprise. Clearly, a vicious serial killer is on a rampage…and Lorne has become the killer’s fixation. For my Crafting friends. McCalls, yes the pattern company has all books priced 20% off from 10/11 – 10/24. Thinking of starting a business? Yes you – crafter, blogger, reader? Here is a STEAL. An indispensable guide for marketing a small business. This book covers an almost mind-boggling range of promotional ideas, yet remains a quick and easy read.